2019 marks a milestone for me; I'm celebrating ten years of business, as a Myrtle Beach photographer! Throughout my career, I've documented countless engagements, weddings, and families. Though I can't list them all here, the many happy moments I've been invited to share, have a special place in my heart. As spring approaches, I am preparing for my busiest time of the year. I look forward to seeing familiar faces and the new connections I will make in 2019. The people that I photograph make this journey possible. Here's a look back at some of last year's happy moments. Bryttany & Andrew, "The Perfect Match"
I first met Bryttany nine years ago, when she and her family traveled from Ohio to spend some time on the beautiful shores of Myrtle Beach. During their family vacation here, they took advantage of the coastal backdrop at Surfside Pier and chose me for Bryttany's senior portraits. I was so surprised when Bryttany contacted me last year for an engagement session while she and her fiancé Andrew were enjoying a romantic getaway, here in Myrtle Beach. It was a wonderful experience to connect with Bryttany again and be part of another happy moment in her life. It was a pleasure to meet Andrew, and I wish the best for them both. Their wedding is scheduled to take place this spring in Ohio. Then, there was the time seven high-spirited friends came to Myrtle Beach for a destination bachelorette party weekend, and I was asked to join them on the beach for a playful photo session to commemorate the occasion. Their bubbling personalities were so much fun to photograph. One of the girls in the group arranged this session as a surprise gift to Caresse, the happy bride-to-be. I'll bet after a day on the beach, the abundant nightlife in Myrtle Beach pleased this effervescent group; adding to the festivities of their weekend. This union began with a memorable first kiss that took place four years after their first encounter. Their kiss marked a turning point in their lives, and one year later Diane said, "yes." Donnie, Diane and their five children made it official at the River Oaks Golf Plantation. Their wedding was the first ceremony to take place at this venue, and I was asked to photograph it. The inaugural wedding at River Oaks was indeed a family affair. Owned by Donnie's aunt and uncle, it was an ideal location to unify this sweet family. Woven together and strengthened by love, seven kindred souls united. I was delighted by the baby shower session I had with Neelam and Kishan. This vibrant event had an overflow of meaningful traditions that induced good feelings among everyone in attendance. The room was brimming with energizing colors, elegant dresses, laughter, music and the mouthwatering aromas of Indian cuisine. At the heart of the merriment was a stunning couple with sparkling eyes. The baby shower of Neelam and Kishan had abounding joyfulness, and solidity for the mind, body, and soul; everything a celebration of new life should have. This precious family comes to Myrtle Beach each summer for vacation. Our paths crossed when I was invited to meet them at the Apache Pier for a family portrait session. Since that time, family portrait sessions at this location have become part of their vacation traditions, and we have met there each summer for the past four years. It has become customary to take one photo with them posing in the same spot each time we meet. In doing so, it is easy to see how their children have grown throughout the years. This past summer, I got to meet the newest addition to their family, a cuddly baby boy with a heart-warming smile. I have developed a special connection with the Bentley's, and each summer I look forward to meeting them for our annual family portrait session at the Apache Pier. 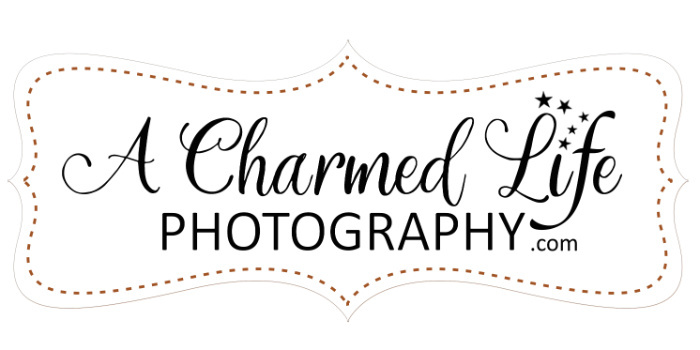 A Charmed Life Photography wouldn't have made it this far without the wonderful people that have trusted me; I’m so thankful to ALL of you. Preserving life's fleeting moments makes me happy to be alive. Your cherished moments are what I love to photograph.